LifeProof is the latest innovation in vinyl flooring, available exclusively at The Home Depot. LifeProof Luxury Vinyl Flooring features an innovative highly engineered closed-cell foamed PVC core that delivers rigidity and strength, yet is lightweight and easy to handle and install. LifeProof Luxury Vinyl planks feature authentic embossing. The simple drop-and-lock end joints make installation a breeze. A solid virgin vinyl layer enhances durability and provides exceptional embossing detail and texture while an attached underlayment minimizes sound, is shock-absorbing, and enhances warmth and comfort under foot. This flooring is both phthalate-free and formaldehyde-free to ensure product safety. LifeProof Luxury Vinyl Flooring does not require acclimation. 100% LifeProof, 0% worries. With Allure LOCKING, you can transform any room in your home quickly and easily, saving you time, effort and money. Allure LOCKING (Clic. design) simply clicks and locks planks to each other, not to your sub-floor. Its FREE FLOATING and completely GLUELESS! Nano Ceramic Bead Technology 20-mil wear layer gives Allure LOCKING super durability and greater strength and performance. 5-year commercial, lifetime residential warranty. Home Depot Exclusive Product. 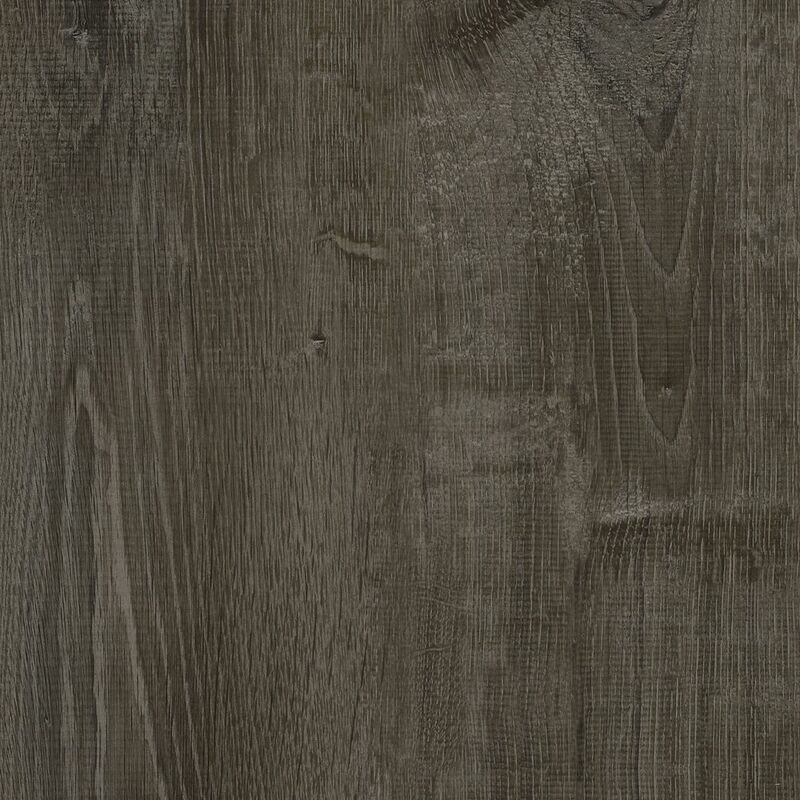 Choice Oak 8.7-inch x 47.6-inch Luxury Vinyl Plank Flooring (20.06 sq. ft. / case) LifeProof is the latest innovation in vinyl flooring, available exclusively at The Home Depot. LifeProof Luxury Vinyl Flooring features an innovative highly engineered closed-cell foamed PVC core that delivers rigidity and strength, yet is lightweight and easy to handle and install. LifeProof Luxury Vinyl planks feature authentic embossing. The simple drop-and-lock end joints make installation a breeze. A solid virgin vinyl layer enhances durability and provides exceptional embossing detail and texture while an attached underlayment minimizes sound, is shock-absorbing, and enhances warmth and comfort under foot. This flooring is both phthalate-free and formaldehyde-free to ensure product safety. LifeProof Luxury Vinyl Flooring does not require acclimation. 100% LifeProof, 0% worries. Choice Oak 8.7-inch x 47.6-inch Luxury Vinyl Plank Flooring (20.06 sq. ft. / case) is rated 4.4 out of 5 by 375. Rated 5 out of 5 by Jeenesan from Easy install. Looks amazing adds a classy look to our lower level kitchen as well as our entryway. Easy install. Looks amazing adds a classy look to our lower level kitchen as well as our entryway. Rated 5 out of 5 by Megan from Stunning and very easy to install! ... Stunning and very easy to install! Rated 5 out of 5 by Ler from Just laid this floor so to early to tell how... Just laid this floor so to early to tell how it stands up but looks and feels awesome! Rated 5 out of 5 by Jill from We bought this product to replace carpeting on our first floor. It was pretty simple to install ... We bought this product to replace carpeting on our first floor. It was pretty simple to install and looks amazing. This was our first time ever installing flooring and I am happy with the outcome! The color is perfect and seems durable. Rated 5 out of 5 by 2223 from Easy to install, looks great.... Easy to install, looks great. Rated 3 out of 5 by HomeDepotCustomer from Good quality flooring. Some boxes were returned before and they... Good quality flooring. Some boxes were returned before and they put damage panels in box and tapped to make it look like new box. Not happy with that! Then we were short and another trip to the store. Please confirm: Vinyl Thickness: 7mm Wear Layer Thickness: ???? Thanks for your question. The wear layer is 6 mil enhanced ceramic bead. Does this product required any underlay? Can LifeProof vinyl plank flooring be installed over tiles? Some specialists told me I need to remove tiles first to make sure that the surface is perfectly even. Is it true? Thank you for your question-TILE, TERRAZZO, ASBESTOS TILE, RESILIENT TILE, NONCUSHION SHEET VINYL, AND METAL SUBFLOORS &bull; Existing floors must be firmly attached to the structural floor. &bull; Fill in grout lines larger than &frac14;&quot; (6mm) on ceramic tiles, terrazzo, quarry tiles, and similar floors with a cementitous leveling and patching compound. &bull; Install over one layer of vinyl only. Thanks for your question. The planks can handle up to 100 F. If the temp is over 100, it can cause the plank to buckle and damage/fade the wear layer. Thank you for your question- We do not recommend installing on stairs or any other vertical surfaces. This would not be covered under warranty. A required gap width of 1/4 in. is required around the perimeter of the floor and between the floor and all vertical obstructions. Do not place permanently mounted structures such as kitchen counters/cabinets on the installed floor.The molding are sold at Home Depot through the company that makes them- Zamma- Home Depot can order these for you. I know the floor says 100% waterproof but would it be alright to install in a basement with the possibility of flooding? Thank you for your question-Water Damage: covers structural-integrity damage to the flooring itself after water exposure in standard conditions (does not cover flooding). Thank you for your question. There can be 4-6 different patterns in each box as the planks are all randomly chosen during packaging. What is the wear layer thickness of this product? Also, do you need transitions between rooms? Looking to do a large area including several rooms. Thank you for your question. This product has a 6 mil wear layer enhanced with ceramic bead. You need transitions if you are installing the flooring for more than 100 ft. in any direction.